I’ve been fortunate enough to amass quite a library of books on Africa, and choosing my favourite ten has been no easy feat. 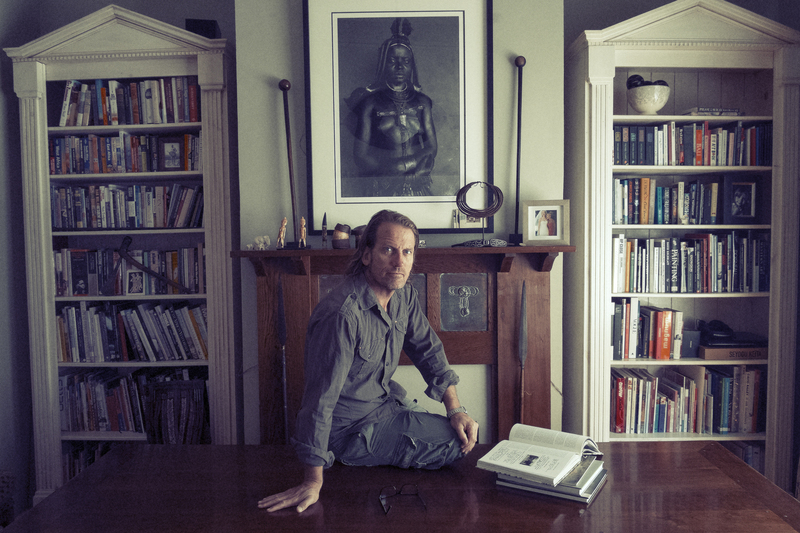 The I books that made this list are all linked to photographic projects I have undertaken in recent years in Southern Africa and in one way or another, each one has provided important historic and cultural contexts to the work I was doing at the time. 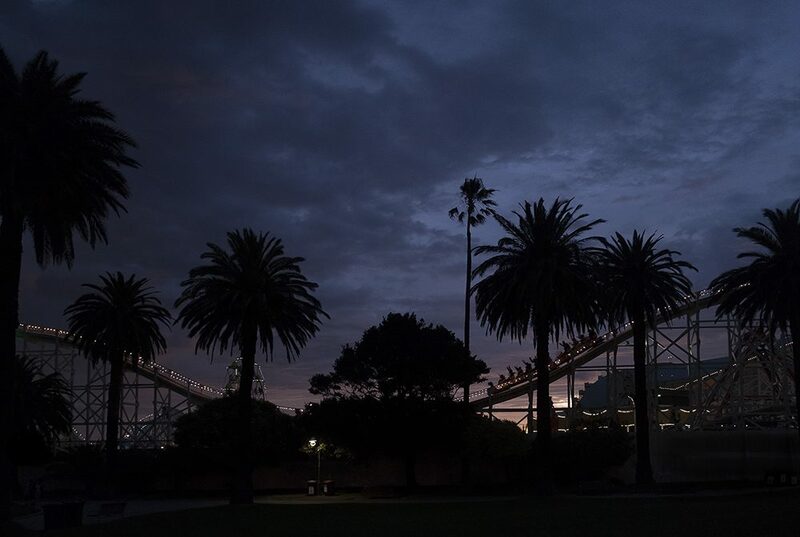 These days, simply taking a series of good images isn’t enough; galleries, curators and indeed, the viewing public, rightly anticipate an extensive and coherent narrative to accompany any exhibition. It is clear that whilst good photographs speak for themselves, an accompanying narrative provides accessibility, appreciation and enjoyment. 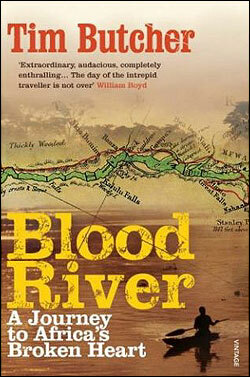 So without further ado, here are my favourite ten books on Africa. 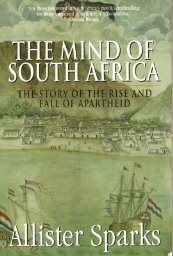 The Mind of South Africa is a unique survey which encompasses the history, culture and the warped mythology of apartheid by which the country was held hostage until 1994. Allister Sparks, distinguished former editor of the Rand Daily Mail, recounts the full story of South Africa’s agonizing drama – and, amazingly, remains an optimist about its future. At the heart of this mega book from South-African-born Mostert is the moving story of the tragic clash between races–black and white–and cultures–British, Boer, and African– in a place that for a brief, transcendent moment was a model to the world of racial tolerance and democracy. Beginning with the Portuguese search for a route around the Cape to India, Mostert traces the history of what was to become the Cape Province when South Africa united in 1910. When, in 1652, the Dutch East India Company established a small settlement at the Cape to provide fresh water and provisions for passing ships, it had no intention of founding a colony, let alone a country. But the settlers, who were soon to become the only white tribe of Africa, the Afrikaners, began almost immediately to foray into the interior in search of more land for their cattle. 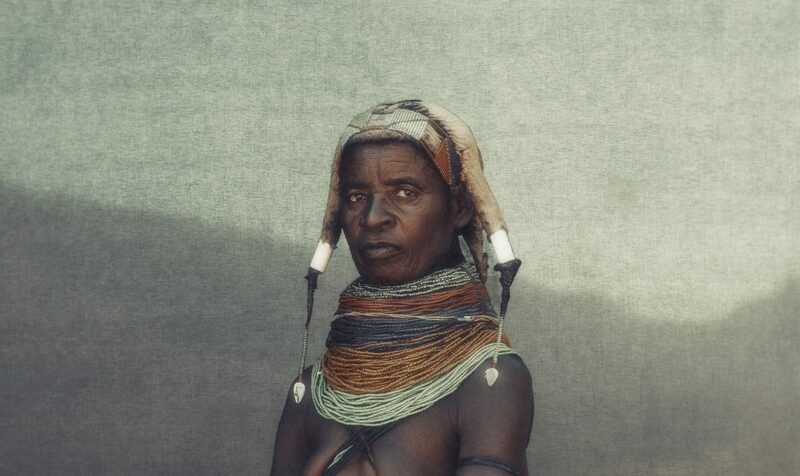 By the mid-18th century, they had advanced far enough up the eastern seaboard to meet the Xhosa, one of the great black tribes of southern Africa. This meeting of two cattle-owning but otherwise immensely different peoples became the crucible for many of the policies and attitudes that shaped the future South Africa. 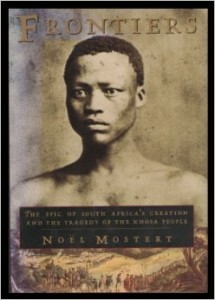 Mostert chronicles in detail the good intentions gone wrong, the ignorance and incompetence, the deeds and misdeeds that followed. 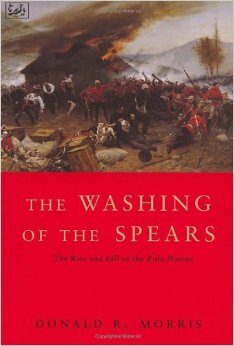 Nine wars were fought before peace prevailed in the early 19th century. By that time, all races were entitled to full civil rights and enjoyed a franchise open to all male property-owners, black and white. 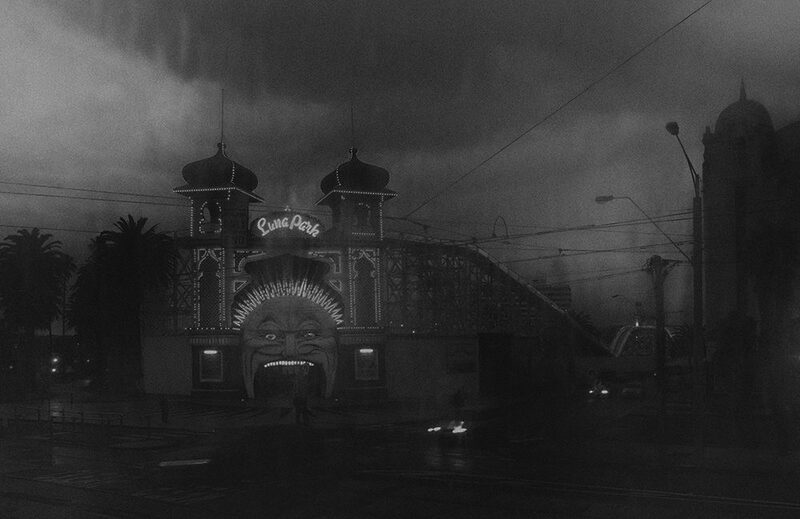 It was a time of brief hope, extinguished with such tragic consequences in 1910. Despite the daunting length–and weight–and some inevitable repetitiveness, a perceptive and sympathetic portrait of a seminal period in South Africa’s history–and one of special interest as Nelson Mandela, a Xhosa prince by birth, begins to take his rightful place in the new South Africa. 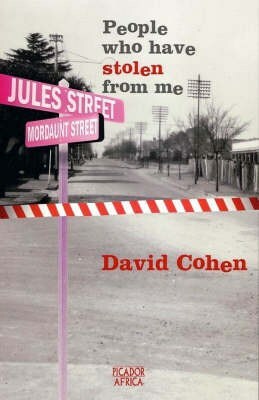 In People Who Have Stolen From Me, journalist David Cohen looks at his native country, South Africa, through the microcosm of Jules Street, at once the longest straight street in Johannesburg and a rambunctious thoroughfare on which crooked men thrive. On Jules Street, Cohen tracks the tragicomic fortunes of two charismatic businessmen and their colourful coterie of employees, who include former carjackers. The furniture store owned by Harry Sher and Jack Rubin is caught in the middle of an undeclared war: they are raided, robbed and defrauded by gangs of criminals, customers, even some of their own trusted employees. The descendants of Jewish immigrants who came from Eastern Europe at the beginning of the 20th century, Harry and Jack welcome the new democracy but must deploy all their humour, cunning, and salesmen’s instincts to counter the criminals who threaten their business and sometimes their lives. Spending time with the perpetrators as well as the victims, both white and black, Cohen reveals as never before the hidden psychology of the new South Africa. Some say they merely steal material goods, while the system of apartheid has robbed them of their future. If you steal something from someone who has stolen from you, they ask, is that crime? Or is that justice? People Who Have Stolen From Me is the dramatic but true story of life at the sharp end in a country at the crossroads. It is also a hilarious and universal tale about conscience, betrayal and trust. The former Daily Telegraph scribe became fascinated by H.M Stanley’s crossing of the middle of Africa in 1874 and made an audacious decision to attempt to retrace Stanley’s epic journey, carrying with him little more than a packet of baby-wipes and a penknife. In doing so, he encounters a destroyed country he memorably describes as being in a state of ‘undeveloping’ as opposed to being undeveloped. During the journey he loses nearly a stone in weight and is often disorientated, sick and sometimes barely conscious. Butcher’s evocation of the decay of the infrastructure built during the Belgian period, is both harrowing and compelling. 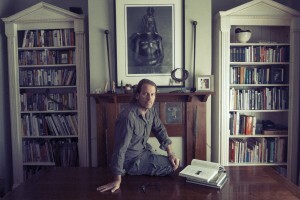 His prose is economic and lacks the emotion of Paul Therox yet his power of observation is acute and engaging. His empathy for the people he encounters in this wrecked country, as they desperately try to cling to what remains of the old order as an antidote to the chaos and tragedy that surrounds them, is intense and moving. In one instance he recounts meeting a railway station master who diligently attends his station every day even though no train has passed in years. In Kisangani, he describes the market traders who await tourists who will never arrive. 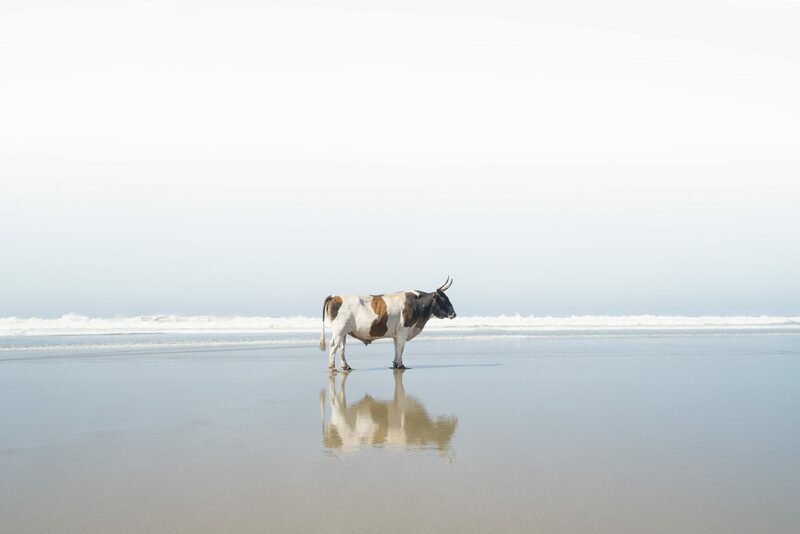 Butcher’s odyssey begins in Lake Tanganyika. He moves rapidly, riding pillion on a motorbike, through a lush and steamy landscape destroyed by war, disease and poverty, always trying to stay one step ahead of the ever present Mai Mai gunmen. Eventually he reaches Kasongo once described as an African version of the lost city of Atlantis, but now virtually unrecognisable as the place once visited by Evelyn Waugh in the 1950’s, its buildings empty shells slowly being overtaken by the surrounding jungle. After a brief pause here, he attempts a descent of the Congo River in a traditional dugout canoe. In truth, there is possibly little difference between the Congo encountered by Stanley in the late Nineteenth Century compared with that experienced by Butcher. The development of the Belgian colonial period, which also came at horrendous cost to the Congolese people, appears as but a blimp on a timeline that is dominated by darkness and chaos. The empty and blackening shells of its colonial period structures crumble as the graves of those who built them are rendered invisible by the dripping vegetation. Tim Butcher’s, Blood River will not appeal to the bleeding hearts whom Paul Therox describes as the Afromantics and the Mandela sniffers, nor can I imagine the reader completing the book and feeling compelled to call their travel agent to book a ticket to Kinshasa, but the author has written a gripping and raw portrait of this terminally damaged place and in doing so has given us an African travel classic. 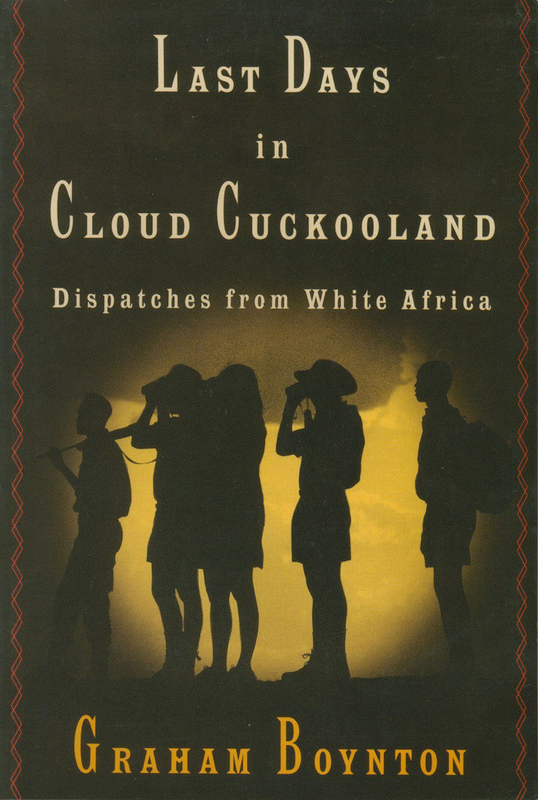 Through a series of loosely connected vignettes interwoven with personal reminiscences, Graham Boynton — born in England, raised in Rhodesia, educated in South Africa — chronicles the fate of whites in Africa as their influence fades and their continued presence on the continent is questioned. 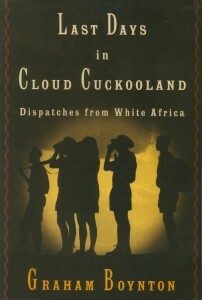 His reporting covers the usual suspects: wealthy white liberals barricaded behind the razor wire fences that mark Johannesburg’s crime-plagued suburbs; bittereinders (bitter enders) at rallies and training camps of the Afrikaner Resistance Movement, calling for a separate white state; frustrated conservationists trying to save Zimbabwe’s wildlife from poachers and an apathetic, corrupt government; and former Rhodesian colonists who drink themselves into oblivion each weekend, living as if it were still 1964. 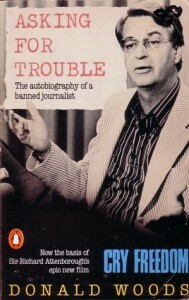 More interesting is Boynton’s probing of the still unsolved murder in 1978 of the Durban activist and intellectual Richard Turner, a colleague of Steve Biko who had a wide influence but has been little known outside the country, and his interviews with the former Rhodesian Prime Ministers Garfield Todd and Ian Smith, whose power struggle pushed the country into civil war. Garth Owen-Smith has spent almost his entire working life fighting – not against a conventional enemy but against official ignorance, harsh climatic conditions, poachers and other enemies of Africa’s fast-diminishing wildlife. 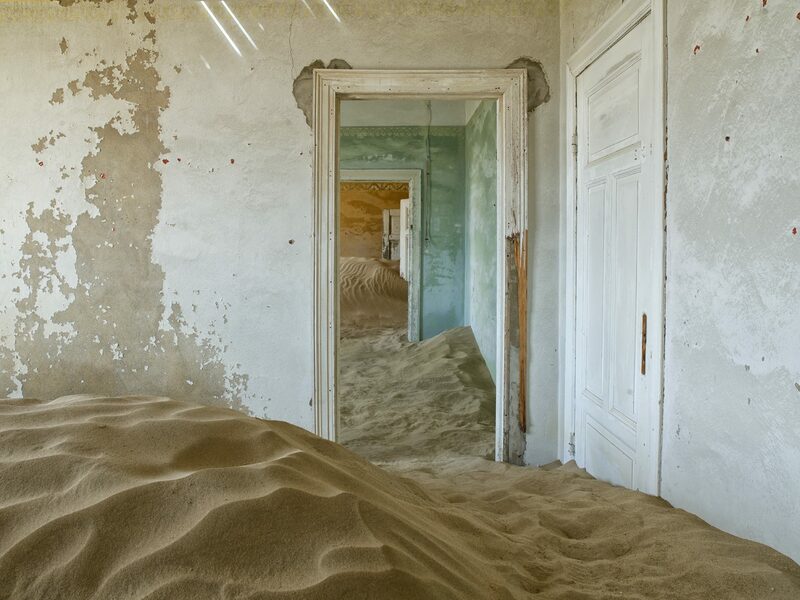 In the process he has lived and worked in a number of countries but his chosen battlefield has always been the most challenging place of all: the harsh, beautiful and almost unknown Kaokoveld in north-western Namibia, his ‘Arid Eden’. He chose sides early on, when he spent two youthful years in the Kaokoveld and not only developed a deep affinity with the indigenous Himba, Herero and Damara pastoralists but realized that they had developed the ideal form of nature conservation, a situation in which humans and their livestock could live in equilibrium with wild game, so that there was room for all. In 1970 he was thrown out of the Kaokoveld as an alleged security risk, then spent a year looking into conservation and the treatment of indigenous peoples in Australia, farmed for two years in Rhodesia, and did pioneering work in conservation education for black youths in South Africa. 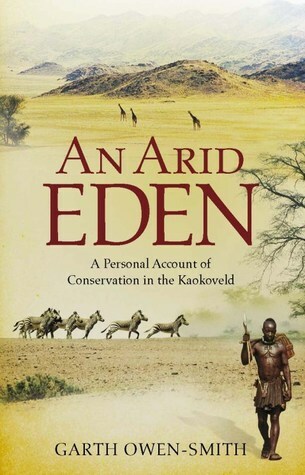 He finally managed to get back to South West Africa in 1978, and from there embarked on his life’s work, to save the remnants of the Kaokoveld’s rich wildlife, devastated by a variety of illegal hunters. When he went back to the Kaokoveld in 1982 it was to find that its rich wildlife, including black rhino and desert-adapted elephant, had been devastated by illegal hunting. Owen-Smith has spent the last 27 years working to reverse this, starting a non-government organization with his partner, Dr Margaret Jacobsohn. 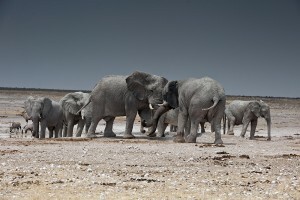 They have won some of the world’s major conservation awards, north-western Namibia is a popular tourism destination and the Kaokoveld’s wildlife has come back from the brink of virtual extinction, and thousands of people have benefited from the links they have forged between community development and natural resource management. Filled with colourful characters, dramatic battles like Isandhlwana and Rorke’s Drift, and an inexorable narrative momentum, this unsurpassed history details the sixty-year existence of the world’s mightiest African empire—from its brutal formation and zenith under the military genius Shaka (1787–1828), through its inevitable collision with white expansionism, to its dissolution under Cetshwayo in the Zulu War of 1879. 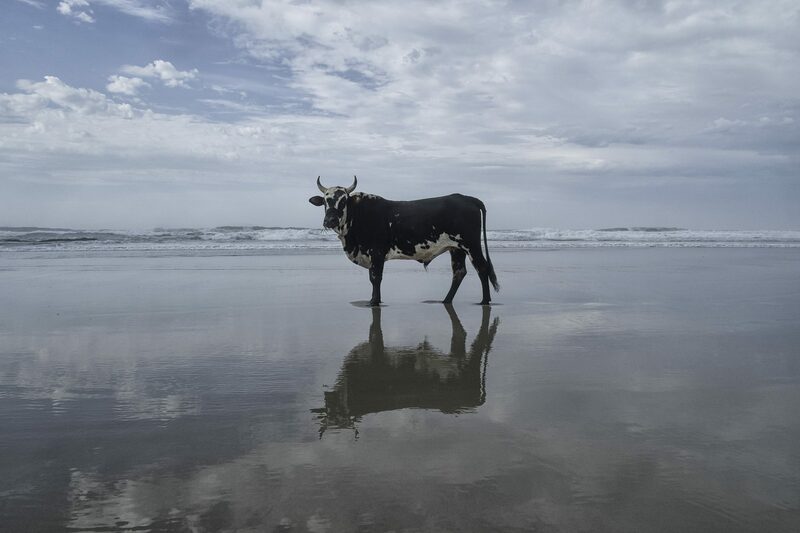 The wreck of The Grosvenor occurred along the east coast of South Africa where I shot Amapondo and during my time there, my assistant Nickolas Satchel and I visited the still remote beach where the first chapter of this forgotten 18th Century drama unfolded. 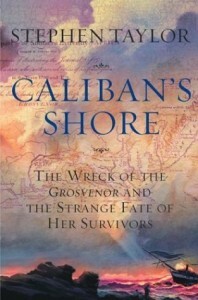 The Grosvenor was one of the finest East Indiamen of her day, but she ran aground on the treacherous coast of south-east Africa. An astonishing number of her crew and passengers, including women and children, reached the shore safely, but the castaways found themselves hundreds of miles from the nearest European outpost – and utterly ignorant of their surroundings and the people among whom they found themselves. Drawing upon much new research, Stephen Taylor pieces together this extraordinary saga, sifting the myths that became attached to The Grosvenor from a reality that is no less gripping. Taking the reader to the heart of what is now the Wild Coast of Pondoland, he reveals the misunderstandings that led to tragedy, tells the story of those who escaped, and unravels the mystery of those who stayed. 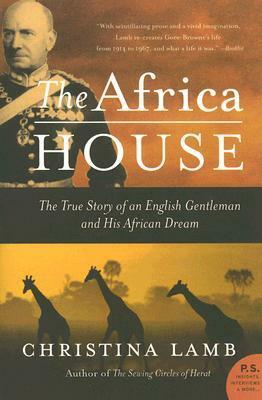 Christina Lamb’s The Africa House is the bestselling account of an English gentleman and his African dream. In the last decades of the British Empire, Stewart Gore-Brown build himself a feudal paradise in Northern Rhodesia; a sprawling country estate modelled on the finest homes of England, complete with uniformed servants, daily muster parades and rose gardens. He wanted to share it with the love of his life, the beautiful unconventional Ethel Locke King, one of the first women to drive and fly. She, however, was nearly twenty years his senior, married and his aunt. Lorna, the only other woman he had ever cared for, had married another many years earlier. Then he met Lorna’s orphaned daughter, so like her mother that he thought he had seen a ghost. It seemed he had found companionship and maybe love – but the Africa house was his dream and it would be a hard one to share. From a world of British colonials in Africa, with their arrogance and vision, to the final sad denouement, leaving the once majestic house abandoned and a forgotten ruin of a bygone age Christina Lamb evokes a story full of passion, adventure and final betrayal. Donald Woods was editor-in-chief of the Daily Dispatch, a newspaper in South Africa. While editor, he integrated the editorial staff (in direct opposition to apartheid) and took up an anti-apartheid stance. However, Woods was originally opposed also to the Black Consciousness Movement, and in particular Steve Biko; they became friends, and Woods was put under ban after the Soweto Uprising. Woods and his entire family (wife and five surviving children) escaped to England via Lesotho after Biko died, and there Woods became an active speaker against apartheid. He spoke in the U.S. and before the U.N. Security Council.Woods died in 2001 of cancer, after traveling back to South Africa after apartheid ended. The 1987 movie Cry Freedom is about Woods, and he and his wife were very involved in the film. Whilst I was shooting Amapondo, I visited Donald Woods’ childhood home and walked down to the grove nearby where he and his wife Wendy are buried.